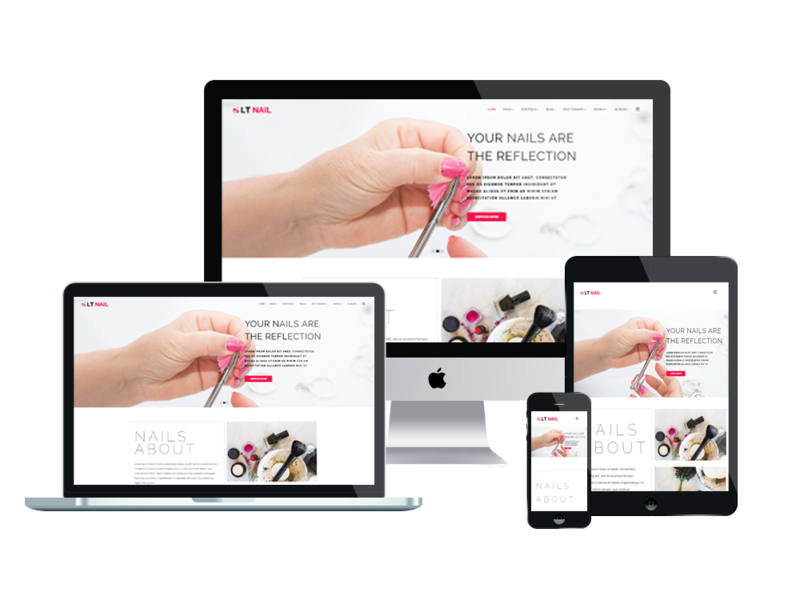 Our One page Nail WordPress theme offers your site with an awesome appearance but still easy to customize! 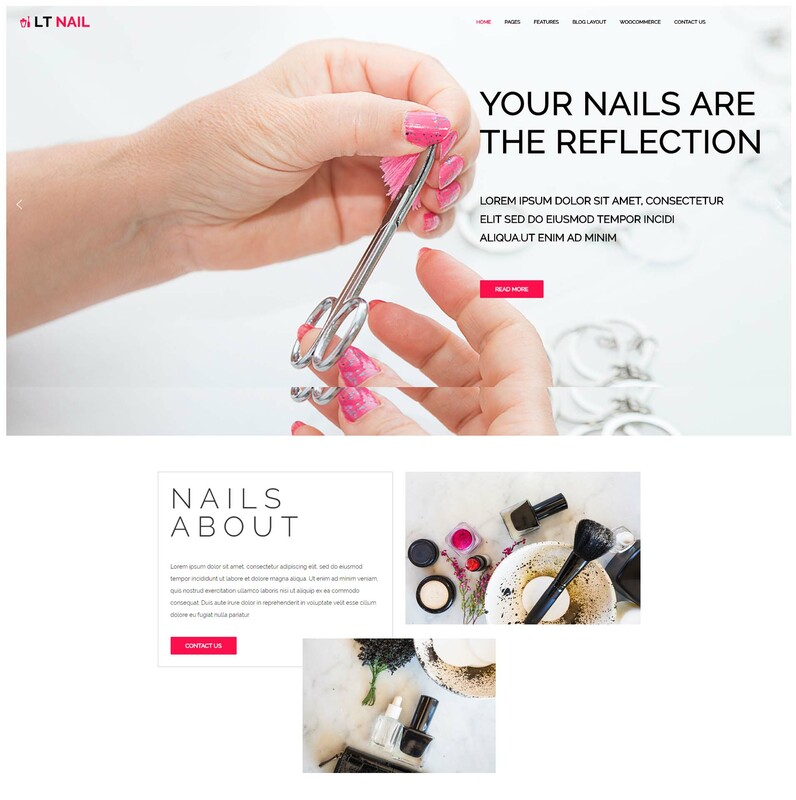 LT Nail One page is a fully responsive single page version of LT Nail WordPress Theme(multi-page) that is intended to anyone who wants to build a wonderful website to start their online business, without paying much time and effort. This theme is fully customizable so you just need to replace content to make it yours. 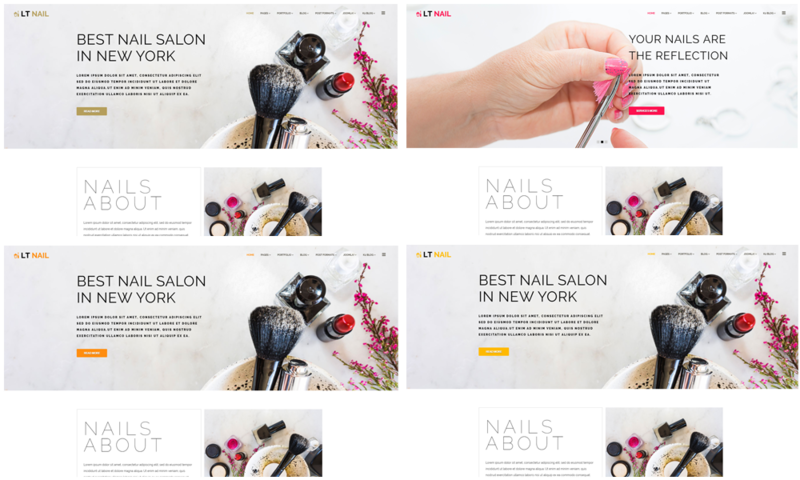 Smooth navigation effect, beautiful sliders, high-quality images and great content organization will make your site more special in the eyes of visitors. Besides, the responsive layout also gives customers a great look on any kind of mobile devices. Amazing? Why don’t you come and get it now?